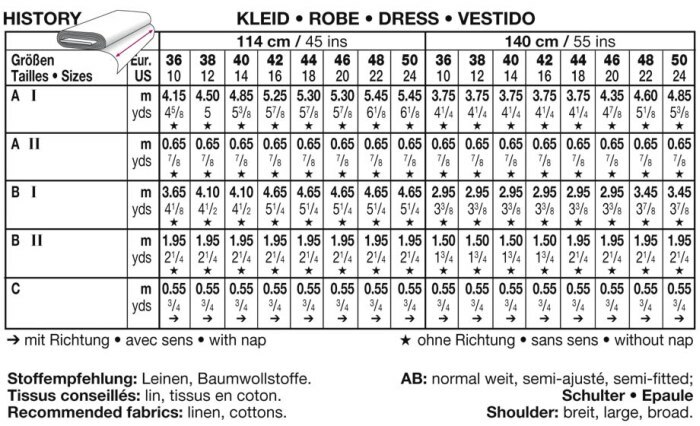 AB Dress, normal width, with godets. 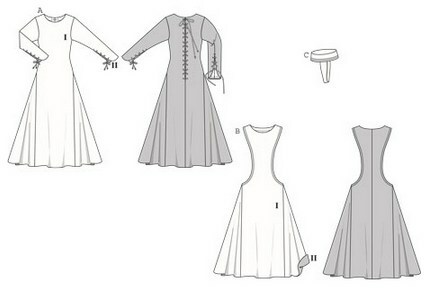 Dress B, sleeveless, with deep side cut-outs, accentuated by topstitched trim. 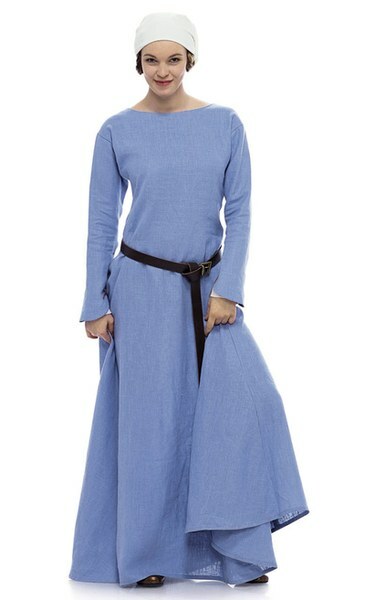 Long-sleeved dress A can be worn alone or underneath dress B. It has decorative lacing on the back slit and on the sleeve slits, where the white sleeves stitched underneath are visible. Don’t forget the typical head-covering C to complete the picture for historic festivals and medieval markets.